You are here: Home » Quick Mandarin » Chinese Table Manners – How Well Do You Know Chinese Dining Etiquette? 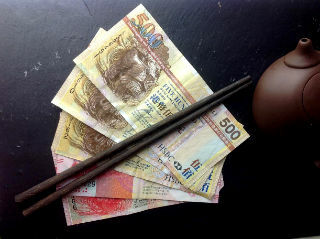 For anybody learning Chinese with us here in Hong Kong you will love this post! It introduces some of the key Chinese table manners that you really should be aware of, especially if you intend to stay in this region of the world for an extended period of time. In fact, whatever language you are studying here at Q Language, you would be wise to take note of the information Carmen (of Off the Great Wall fame) shares in the following video, which provides a highly entertaining yet practical overview of Chinese dining etiquette. Note: If you not a non-native English speaker, you may have a bit of trouble catching all that Carman says, so you can read the transcription copied below the video. You’re about to sit down to a nice Chinese meal, a gesture here, a bite there and all of a sudden you and your family are shamed and bad luck is upon all of you. How did that happen? Well let me start by saying that eating is a huge part of Chinese culture. We need to celebrate, to honour guests, to socialise and to strengthen bonds, so doing it the right way is very important. Good manners indicate proper upbringing and invites good luck. Poor etiquette is bad luck and embarrassing for you and the people who should have taught you better, i.e. your parents. And we all know how well that would sit with a Tiger Mother? Fear not friends, today I’m going to go through a list of eight proper ways to eat a delicious Chinese meal without bringing shame to your family. See, before you even sit down for your meal it’s important to show the proper respect to the host as well as the guest of honour. You do this by not occupying the seat of honour which is the centre seat facing the entrance. Then the second most important person sits to his or her right side, the third most on his or her left side and so on. The person footing the bill usually sits in the least prominent position: opposite the guest of honour. Chinese meals are traditionally family style where everyone shares all the dishes with one person ordering for the whole table. Sometimes the host will order a few dishes and ask the guests to each order an additional dish. If you’re the one ordering, make sure to get a variety and make sure it’s an even number. An odd number of dishes is traditionally reserved for funeral meals – and that is bad luck! Even with tea, there’s a proper way to pour and drink it. It’s polite to pour from those around you by taking the teapot handle in your right hand and then placing your left hand on the lid. This shows that you are honouring the person you are pouring for and keeps the lid from falling off. When the tea is out, leave the lid partially off and at the side of the table to indicate to the wait-staff that a refill is needed. Taking the lid entirely off is, you guessed it, bad luck! And if someone is pouring tea for you a verbal thank you is necessary. Or if conversation is flowing, a verbal thank you may be disruptive so you can take your index and middle finger, bend them and tap them on the table. This is an acceptable show of gratitude that started in ancient times. An emperor was said to have gone undercover with two Secret Service like servants in tow to observe his kingdom and how he was doing. At a restaurant the emperor pours tea to his aides – normally, they would kneel down on the ground and bow in gratitude, however, this would blow his cover so instead, they’d bow with their fingers on the table – like this. As difficult as they are to hold, proper chopsticks handling is a must. So take the time to learn how to use them correctly and avoid unintentional bad behaviour. 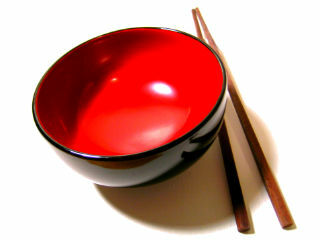 Chopsticks are seen as an extension to your fingers so never pointed them directly at anyone, it’s considered rude. Also, never leave the chopsticks sticking upright in the dishes as it looks like incense in food dishes left in honour of the dead. Chinese meals are usually served on a Lazy Susan to make family style eating all the more easy. When a dish is served, the senior most person gets first dab at it and then it’s rotated around the table. It’s polite to only take a small portion to make sure everyone gets some. Fish is usually served at Chinese meals as the term ‘have fish’ or yǒu yú (有鱼) sounds the same as yǒu yú (有余), which means the same as surplus. Having a surplus is lucky. Nián nián yǒu yú (年年有余) is a common phrase used during Chinese New Year to wish someone good fortune and surplus year after year. 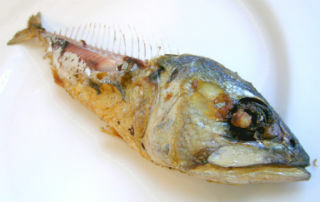 When a fish is served whole, once one side is eaten, never flip the fish over. This custom started in Chinese fishing communities when the fish symbolises a boat, so flipping it over indicates flipping their livelihood over. So, how do you get to the other side? Simply use your chopsticks and grab the backbone and lift up, set it on the side of the dish and, voilà, more deliciousness to consume. Last but not least, lucky number eight. Can you pay my bills? How to pay the bill is a very intricate process and the most important custom to note. Guests should never ever split the bill with the host! It’s very ungracious because it’s as if you are saying that the host cannot afford the bill or that you do not accept his or her hospitality. Now, the host is supposed to pay for the meal but you have to offer to pay for the meal at least a few times. The more sincere looking the mock efforts the better! Now, don’t get all into it and really pay the bill because that would be rude too. And don’t just sit back and accept that he or she is paying even though that is what’s really happening because that would seem like you expect them to pay and that they owe you somehow. So dance the dance and offer to pay, graciously allow the host to pay then thank them sincerely. So that’s our top eight list on what to do at a Chinese meal to bring honour to your family and bring good luck for all, all while feeling your belly with scrumptious eats! Win! Win! Win! If you haven’t seen our chopsticks versus fork video or our epic Fight For the Bill video, check out the links, I’m going to put them here or here, I don’t know, or somewhere here. And we have new R & Vs every week so make sure to click the subscribe button. And follow us on Facebook, Twitter and Google plus. If you have any other tips on Chinese restaurant etiquette, please let us know. Bye, thanks for watching, see you later. I certainly learned a lot from Carmen, didn’t you? I particularly like the correct way – tapping your index and middle finger on the table – to thank someone when they pour you some tea. I must admit that I have seen this done but never actually knew the story behind it. Please let us know in the comment box below, which is your favourite or, indeed, least favourite Chinese dining etiquette. 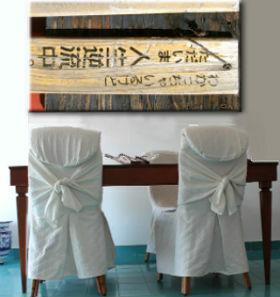 Or maybe you have some dining customs unique to your home country? Again, please let us know.